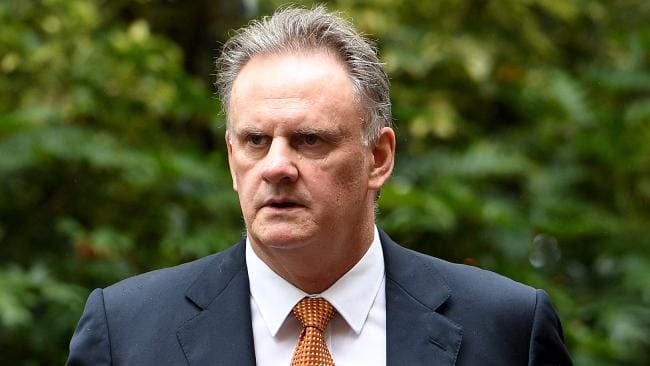 MARK LATHAM’S election as Labor leader has stirred up the national debate. The view that Latham might offer a serious fight is giving confidence to everyone who wants to see Howard thrown out at the election. In contrast to the wooden gestures of Simon Crean, and Kim Beazley’s well known support for the US military alliance, Latham captured the anger people felt around the war on Iraq. He called Howard’s ministers a bunch of suckholes and labelled George W Bush, the most dangerous man alive. Latham’s message that Howard has taken out the rungs in the ladder of opportunity resonated because Howard is making ordinary people’s lives harder. Those who have stood against Howard’s racism took heart when Latham trumpeted Labor policy to let refugee children out of detention. For many people Latham Labor is looking like it might not be just another Liberal Party after all. Yet Labor under Latham remains stuck, as it was under Crean and Beazley, along the lines set by Howard. Latham’s backtracking over Bush makes this clear. Two days after becoming leader, Latham highlighted his support for the US military alliance, side by side with the US flag in the Labor caucus room. Now I have a different responsibility as the alternative PM and I put the American alliance, and the relationship, as the starting point with which I now deal with these particular issues. This is summed up by Latham’s adoption of the Beazley line, that, We also need to win the war against terror internationally. That’s a firm commitment of mine. We’ve also got to win the domestic war against poverty. We should be clear. On pure money terms you can’t win the war against poverty if you accept fighting the war against terror. More fundamentally the war against terror is about entrenching global and domestic inequality, not eradicating it. Latham is promising to keep Labor on Howard’s border protection groove as well, saying Labor will be stronger, firmer on border protection than the government, but with a more compassionate approach to asylum seekers. The few children left in detention would be let out and deported if their parent’s claims are rejected, and we would have a national coast guard to stop refugees reaching our shores as well. It is Latham’s claims to restore the rungs in the ladder of opportunity that has resonated most. Latham believes in an upwardly mobile society, where people can climb the rungs of opportunity. Leaving aside the gap between this belief and reality, Latham says Labor will put back the rungs which the Liberals have taken away. Restoring Medicare bulk-billing as a universal system and scrapping the government’s 25 per cent HECS increases is to be welcomed, but it falls far short of what is needed to give everyone a fair-go. If Latham’s belief in equality of opportunity was a policy guide he would start to dismantle the entrenched privilege that Howard has put in place at everyone else’s expense. Labor would scrap Howard’s $2.3 billion a year Private Health Insurance rebate, which maintains a privileged private health system at the expense of the public sector. Labor would also redirect the handouts from elite private schools back to our starved public schools. But Latham is a man who described himself as an economic rationalist with a humanist tinge, which means he shares much of Howard’s neo-liberal framework, and this is sure to disappoint. The task facing the unions, refugee supporters, the left, and the anti-war movement, remains—of working together to defeat the Howard agenda. Latham’s election has opened up the space for a broader debate about what we want put in place of the Howard regime. That debate must start now, well before the next election. The biggest political challenge that has confronted Howard over the past year has come from the million people who took to the streets against the war. We may not have stopped the invasion. That would have required mass civil disobedience, strikes and occupations on a big scale. However, the illegitimacy of war and the instability working it’s way out from occupied Iraq, has created a potentially powerful current in society that could sweep Howard out. A Labor party that committed to ending the occupation of Iraq, bucking Son of Star Wars, and putting money into health, education and jobs, not warfare would win massive support. These are the themes which are being taken up for massive protests planned on 20 March, the anniversary of the invasion of Iraq. The anti-war movement is uniting a new broad opposition from the left. Everyone, whether they are an active unionist, a refugee supporter, or a student fighting fee increases has an interest in making 20 March massive. Every suburb, school and campus should have a local anti-war group which brings people together into a bigger, more powerful movement. Local peace groups only take a few people getting together to get started, but they can become a backbone for a mass movement. Together we can bring about regime change in Iraq, and at home. That’s the beginnings of an alternative.